If you have a wedding on the horizon, you are likely envisioning the event in your mind’s eye. You are picturing your lovely wedding dress, your hair flowing in the breeze, the beautiful Cabo scenery and your special someone. Yet you might not have considered your makeup. This is a major decision as the style you select will be captured in photographs and videos meant to last a lifetime. 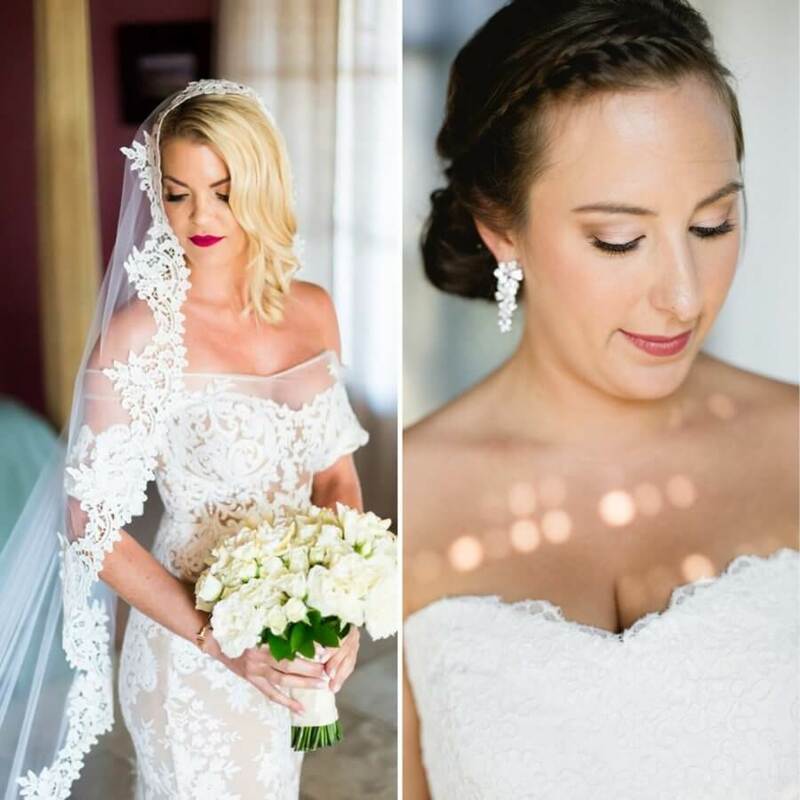 If there are any blotches, rashes or if the makeup doesn’t look good under the specific lighting, such flaws will be seen over and over as the wedding footage is replayed. 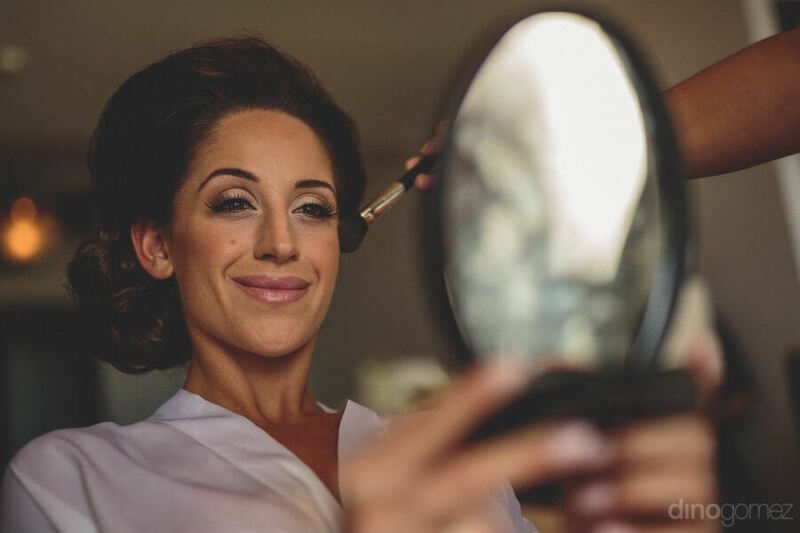 Let’s take a look at some different wedding makeup styles to help you select the best look for your Cabo wedding. Marrying on a Cabo beach is as picturesque as it gets. This is the dream wedding just about every woman has imagined since childhood. However, the beach setting calls for a specific makeup strategy to ensure you look your best during the entirety of the outdoor event. Beach weddings require more nudes than bold colors in order to give the bride a natural appearance. Prep your skin prior to the application of your makeup. This prep will go a long way in controlling the t-zone portion of the face that generates oil and subsequent acne. The foundation should be mineral for coverage as well as contain SPF to keep your skin safe in the sun. Mineral foundation provides an SPF upwards of 22. Ideally, you will not use lip gloss. Opt for lip matte instead. This way, if a strong gust of wind hits the beach, your hair or sand won’t stick to the lip gloss throughout the remainder of the ceremony. Indoor makeup should be bright with a beautiful soft yellow undertone, as to not wash out the bride under artificial lighting. Opt for a foundation that does not contain zinc oxide or titanium. Add concealer following the foundation to hide blemishes and other imperfections. It is a mistake to apply concealer prior to foundation as it can cause the skin to look spotty. Skip those makeup products that add extra sheen to the skin as it might cause you to look somewhat ghastly when photographed or videotaped. Use a waterproof mascara as you will likely shed a couple tears during this unforgettable evening. If your mascara runs, everyone will see it but you! However, makeup experts are quick to note many waterproof mascara formulas prove problematic. When in doubt, your makeup artist will know what is best to work with your eye makeup remover. It must be carefully formulated to remove waterproof makeup. Like other aspects of wedding planning, begin experimenting with wedding makeup ideas as early as possible. Ask your makeup artist for completed looks and choose something similar, or have a number of trial sessions and pre-wedding shoots until you find the look you desire for the big day. Your Cabo wedding planner should be able to schedule this. Makeup for an outdoor wedding should be more striking. Though this makeup should not appear artificial, it must be able to withstand the heat and remain somewhat natural-looking throughout the entirety of the wedding day and night. Start off with a satin or matte foundation. A light application of pressed powder will boost your complexion. Opt for soft colors around the eyes, choosing to compliment scenery or wedding decor. You can go in any direction with the color of your lipstick. However, the lipstick you select must prove long-lasting. Apply ample mascara but don’t overdo it. If spots are an issue, make use of a concealer with medium coverage. Just be sure to avoid applying lip-gloss immediately before pictures are taken so your lips do not look overly-shiny. Ideally, you will hold off on the official wedding photographs until the sun sets. A setting sun provides the perfect light for pictures. 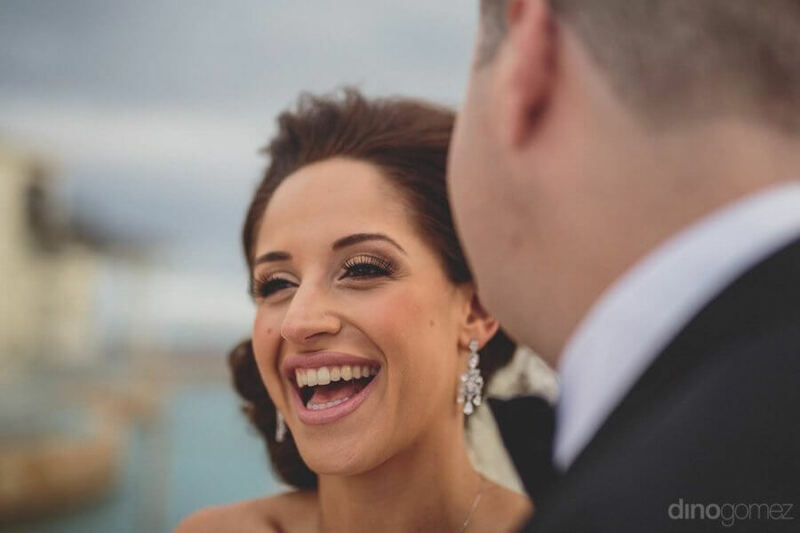 Wedding makeup for an early or late evening wedding should be comparably dark. However, this does not mean you have to be conservative with the application. This is your chance to dazzle onlookers. The darker lighting lets you pull off a stunning look that demands attention. So be sure to incorporate some sparkle with your look, or a striking eyeliner. Your eyes should shimmer bright while your lips look rich and full. Don’t go too far with color as you do not want to overshadow your wedding dress and hair. If you are willing to take a considerable risk, take it on your lip color. Add a cinnamon shade of lipstick to complement a dark liner, or choose a bold red. This hue will make your lips that much more luscious for your wedding night. 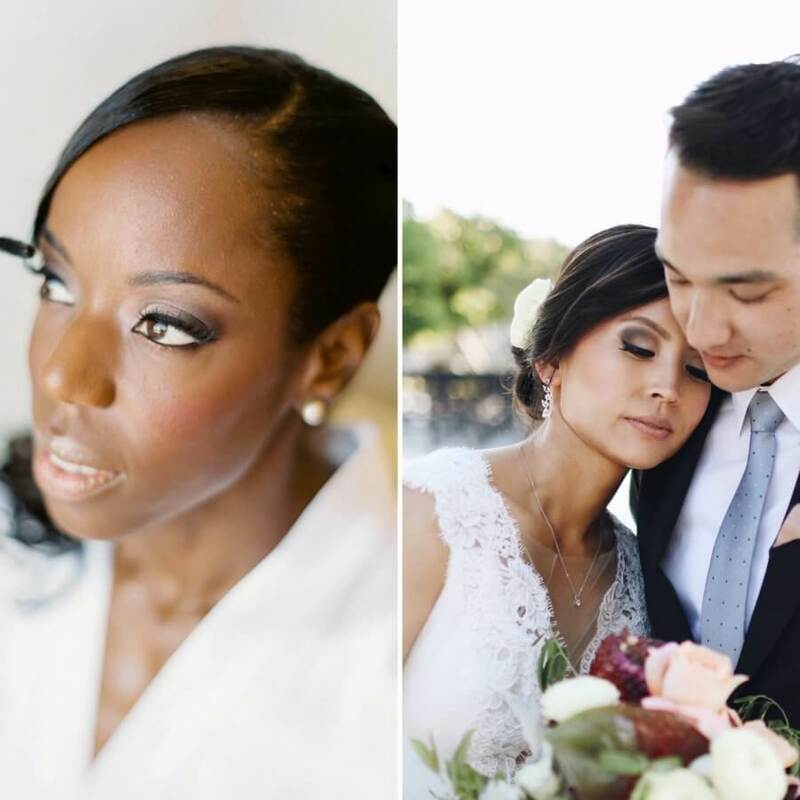 Beware of the potential to go too dark when donning wedding makeup. Go too dark and your lovely eyes might not stand out as they should. Your makeup has the chance to be quite alluring, but can quickly become overly-emphasized. Why Hire a Local Makeup Artist? It can be assumed that most makeup artists understand lighting, skin undertones, color theory, makeup application for different settings, etc. 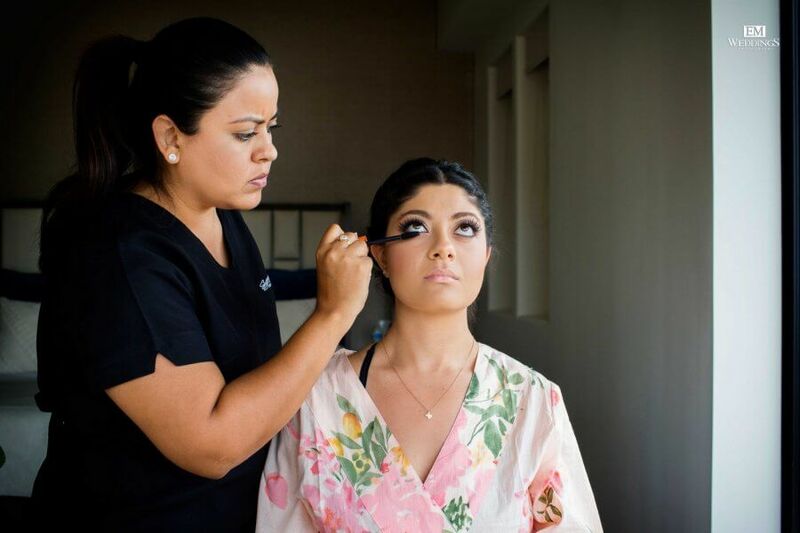 However, not all artists will be able to match your wedding makeup to the Cabo scenery like a local artist will; nor is it likely they’ll understand what it takes to make makeup last a full day on the Baja California Peninsula. 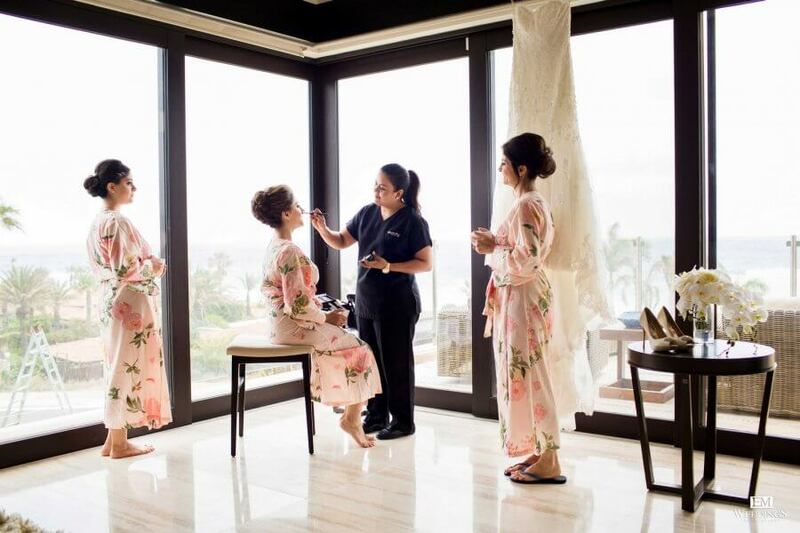 From outdoor beach and desert weddings to indoor and nighttime weddings, Susan Morel Face and Body Care has worked with hundreds of brides to match popular trends from around the world while applying local knowledge and experience, keeping your wedding makeup perfect all-day. 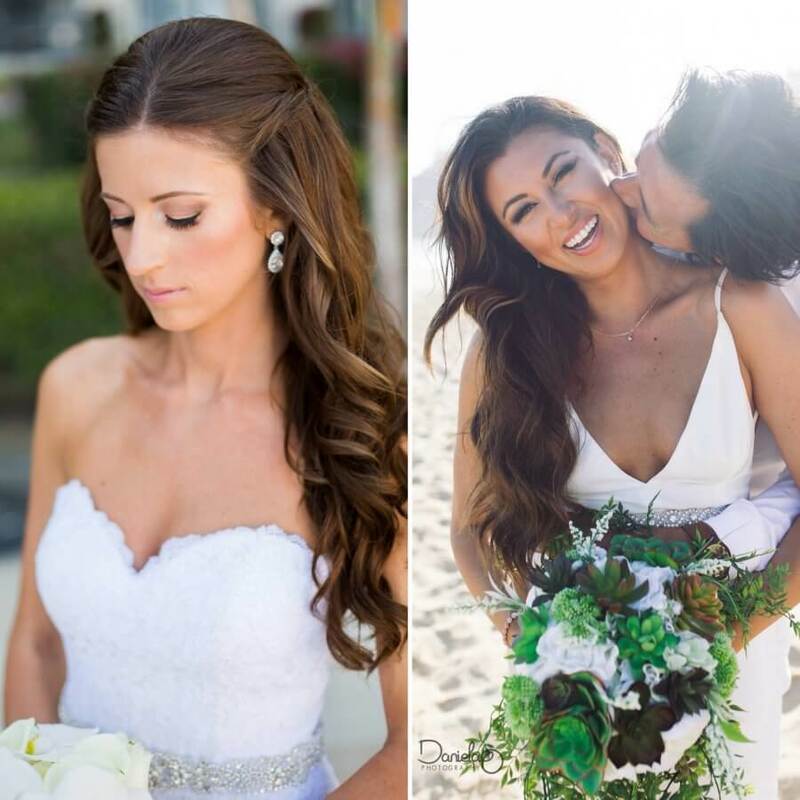 This entry was posted in Blog, Cabo Bridal Hair and Makeup and tagged wedding makeup.